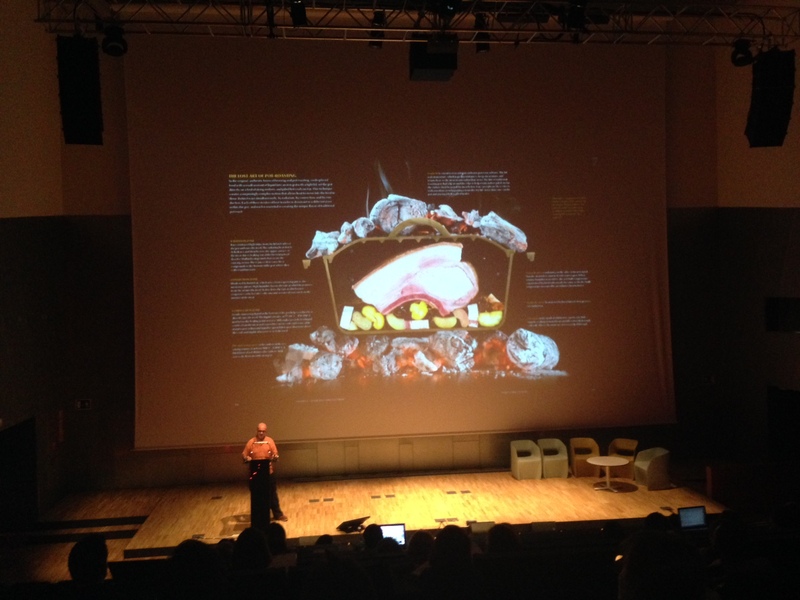 La Mandarina de Newton was quite present at the 3rd International Conference Open Design Shared Creativity that took place at Design Hub Barcelona on June 30th and July 1st. 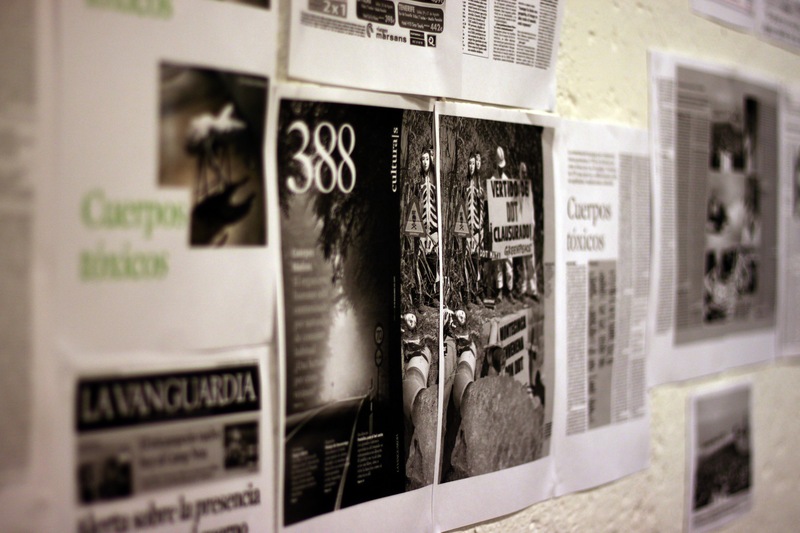 On the 30th at 12:30 Ramon Sanguesa summarized the experience with our project HackingBullipedia with elBulliFoundation and discussed its relationship with open design. 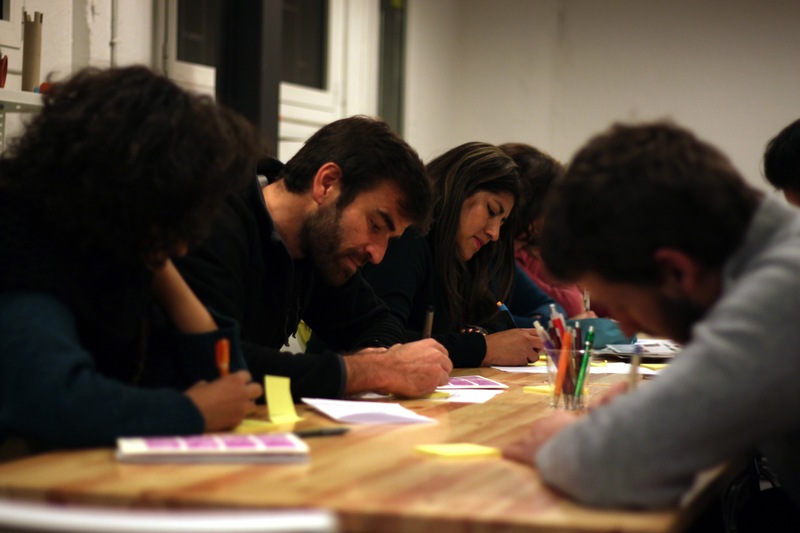 On July 1st at 17:00 La Mandarina de Newton sponsored a session with Lisa Ma, Laura Forlano, Luiza Prado, Pedro Oliveira and Ramon Sangüesa to explore the points of contact between critical design approaches and open and participative design approaches. 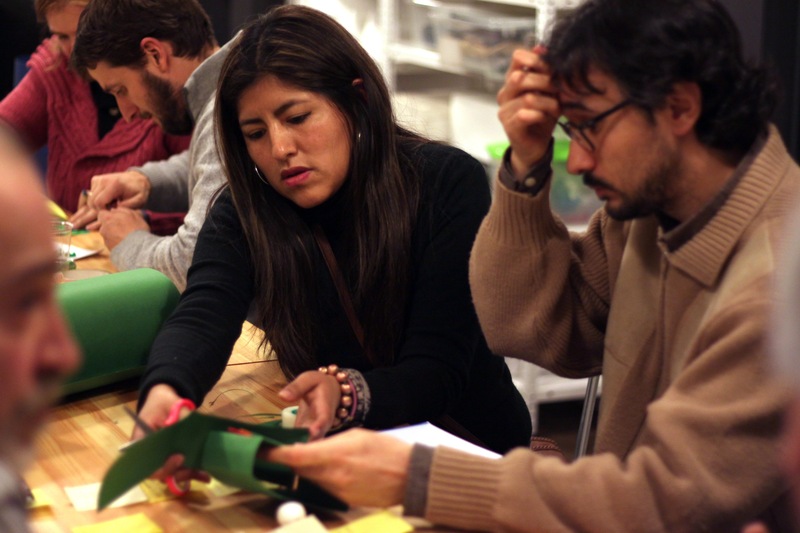 Is it possible to bring out the power of critical design in open and participatory projects? 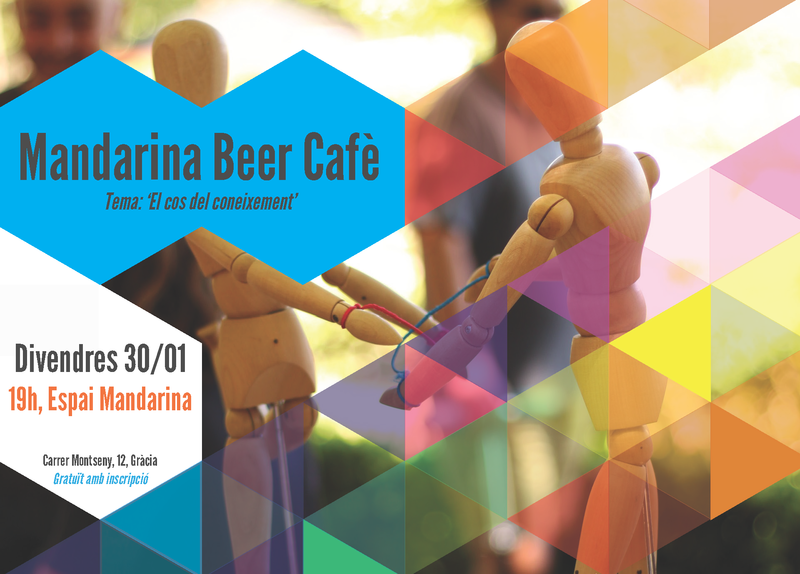 Soon we will share with you more details about these two days of creativity! Two days of open design thinking to kickstart your creative juices! On July 5-6, the Open Design / Shared Creativity International Conference (ODSC) will be held again this year as part of the FADfest 2013, Barcelona. La Mandarina de Newton took part in the first edition of the conference and collaborates as programme partner of the forthcoming edition. ODSC is an annual space for reflection on the culture of open design and its potential in the creative professions. An exceptional lineup of more than 20 speakers will feature, share and debate the emerging landscape of open practices and exchanges that has come out of approaches such as open code, copyleft, co-creation, sharing and collaborative working. Don’t miss this unique chance to explore renewed creative practices and innovative platforms that are revolutionizing the future of design in all its disciplines and expressions thanks to digital technologies and networked culture. Check the programme here and use the promo code “PPA20″ to save 20% on your ticket! Last Friday (March 1, 2013) at the Mandarina Space, we had our first participatory workshop to give shape to the participants’ ideas about Internal Contamination. As you know, this topic was presented by Dr. Miquel Porta (18/01/2013), an internationally recognized researcher and an expert on the field and after his presentation a first debate took place. The goal of friday’s session was to begin a process of critical and speculative design around the concepts and ideas that popped up during that talk. 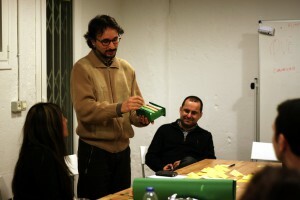 The workshop, led by Ramon Sagüensa (La Mandarina de Newton), began with an inspiration exercise for the participants. We challenged each of them individually to complete the question ‘What if …?’ with ideas, questions or concerns that came to their minds, related with the topic Internal Contamination. They had to reflect on the positive and negative aspects of it. In just 10 minutes many ideas were generated: What if we changed our lifestyle (if we stop eating meat, if we abandon the urban lifestyle), What if we could measure in detail our internal contamination levels, or the levels of toxics in the products we consume?, What if we could eliminate the toxics of our body, if we could recycle or metabolize them?, What would happen if there existed a region in the world without contamination?, What if contamination were something good for our health, if it could expand our live expectancy? What if internal contamination levels were visible? … and much more! This individual exercise was the starting point for the actual teamwork. Now, participants discussed together these ideas and the dilemmas created by their interplay. 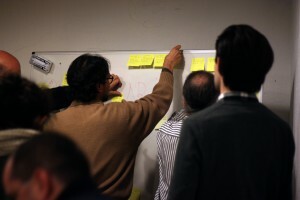 For that, they stuck the post-its on a panel and, with the participation of all, reorganized them by topics or concepts. Eventually, an agreement was reached and several clusters of ideas emerge: food, communication and information, utopia, methodology, and disposal of PTCs (persistent toxic compounds). From here, each participant chose the topic that found most interesting and in this way the working groups were formed (four in total). Then, we started the ideation phase. In each group, participants discussed and identified the ideas they wanted to explore. With the working ideas defined, the participants began to give shape to their proposals and build their ‘prototypes’. The first group, who had chosen the topic ‘Food’, devised ‘The BNQ – The Body Whitening’. They proposed a treatment to ‘withen’ the body internally. With an amazing pill one would be able to clean the body from internal contaminants and this would be reflected in one’s outward beauty: ‘Clean on the inside, beautiful on the outside’. 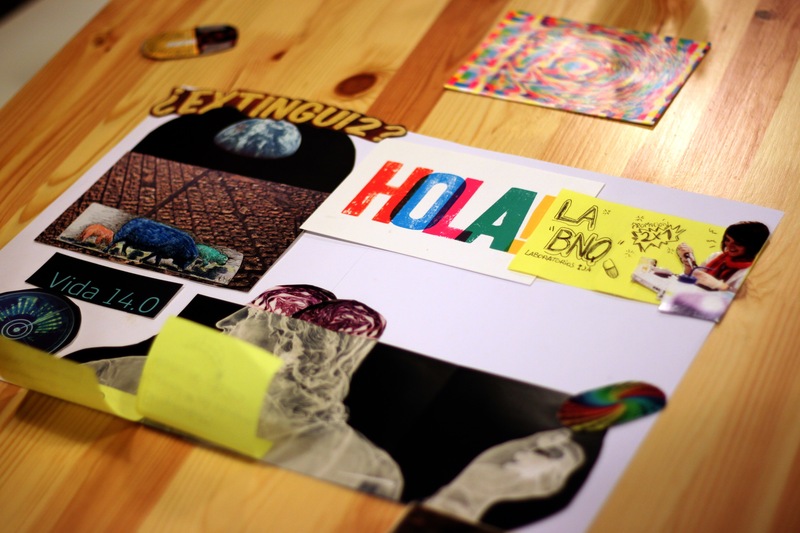 The second group, based on the topic ‘utopia’, proposed a comics/animation campaign – ‘PTCs Superpowers’ – in which the stories would revolve around a family of characters who had superpowers due to the accumulation of PTCs in their bodies. The third group, who chose the theme ‘elimination of PTCs’ created ‘Sintox’: a set of pills developed by a pharmaceutical company (‘Mandarinartis’) and marketed to a fairly high cost, but that would be able to eliminate completely all your internal toxics. Finally, the fourth group, inspired by the topics ‘information and communication’ and ‘methodology’, proposed a next generation device, the ‘Anxiety Machine’. This product would be comprised of a pill with a PTCs’ sensor that you would swallow. Travelling through your body it would detect your internal levels of PTCs and transmit that information to a square-shaped personal and portable device. This device would then show the toxic results, identify the most likely diseases that one would develop as a consequence of the level and type of contamination, and it would also offer an option to share the results within a social network (a kind of facebook with the contaminants’ profile of each user). During the presentation of the proposals, there was also an interesting exchange of ideas and suggestions between the groups. It was Friday evening and dinner time was approaching, so we had to end up the session. Once again, we received a very positive feedback from participants, an extra motivation for us to continue organizing these kind of brainstorming, creative and multidisciplinary co-creation sessions. 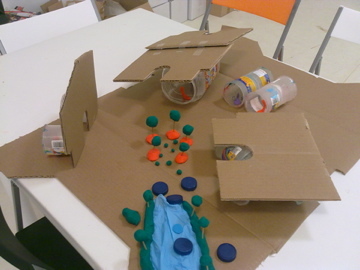 This was the first workshop within the Critical Design Cycle about Internal Contamination. We will continue working on these proposals on the 5th of April (Friday), 19:30 at the Mandarina Space (as always, we will create a registration form on Evenbrite). Remember that these sessions are free and open to all of you willing to participate. And not just for those that came to the previous sessions, but to anyone interested and eager to share their ideas in a co-creative way. Remember that you can check the summaries of the past sessions of the cycle in our blog and the presentations’ videos in our Youtube channel. 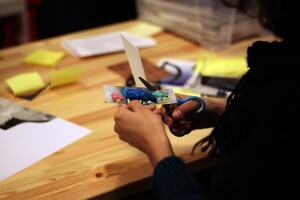 You can also find all the photos of the workshop in our Facebook page. In this conference world renowned experts presented different approaches to innovation to an audience of researchers, enterpreneurs and business people. Irene, presented a colourful view of innovation and stressed the importance of personal attitude and the importance of arriving at your own methods of innovation by deep reflection and continuous exploration, both individually and with others. Also she stressed the need to be smart and integrate some of the methods that very creative people across very different projects in Art, Design, Technology and Science have develop. 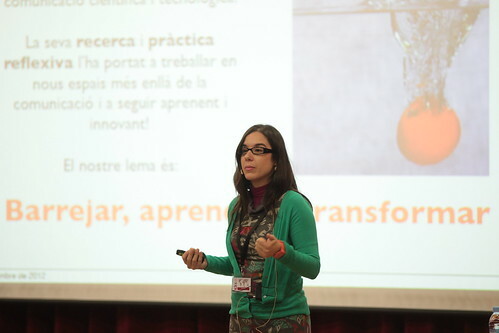 In doing so, she showed the idiosyncratic “Mix, Learn, Transform” approach to innovation that we follow at La Mandarina de Newton where each project is unique and requires a fine tuning of methods and synergies. During the conference it was possible to listen to renowned experts such as Amnon Levav CEO of Systematic Inventive Thinking (SIT) from Israel; Joan Cortés director of LTC Project from Barcelona Pär Blanking, director d’Innovació de Borders Crossing al Regne Unit and George Por, an expert in collective intelligence. Discussions with all of them where interesting and lively and may lead to further collaboration. It was very conforting to see that in the middle of such a crisis as the one that we are going through universities and innovators dare to speak together and develop a better future. 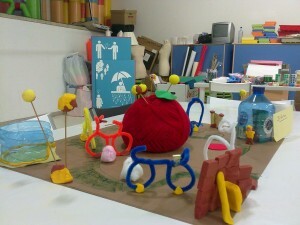 We hope that our hybrid approach also helps in improving things through creativity and innnovation. On the 10th, 11th and 12th of September la Mandarina de Newton, attended the Mercado Atlántico de Creación Contemporánea (MACC) in Santiago de Compostela. Ramon Sangüesa and Irene Lapuente presented the practical workshop on working with the public methodsl,where the attendees were invited to create cultural projects with materials by hand and rapid prototyping techniques. It was a successful attendance. Participants enjoyed three hours of intense work and creativity was present during the entire session. On this occasion the projects that were created were related to exhibitions, creative spaces, design and entertainment. Participants gave birth, at least in prototype form, to bike rides with stops in order to understand how this personal transportation vehicle works, read novels that talk about bikes or show the images recorded during the tour, rebuilt towns through recycling artistic activities; an experience for the integration of the design discipline and a space to understand the Jamaican culture. 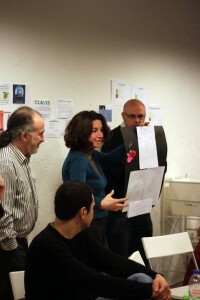 Through role playing, a technique which simulates a situation that could occur in real life and where people adopt the role of a particular character, participants were able to improve and test their proposals. We closed the session sharing the experience with a brief discussion of what had happened. Still, we believe that the material being worked is not going to stay just as a prototype. 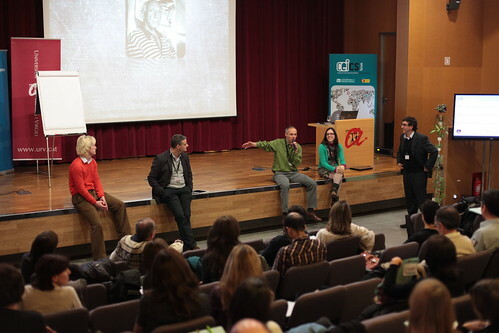 The creative, excited and fighter attendees expressed that they saw new ways to go on working with their ideas. Thank you all for sharing with us 3 very interesting hours! Tonight has been very active, almost looked like the Christmas night. We woke up, and there were 5 new proposals that filled the projects folder on the website at the Tech Museum. We will briefly describe and explain them to you and we’ll continue working in order to have everything ready to start voting today from 22 pm on, local time in Barcelona. 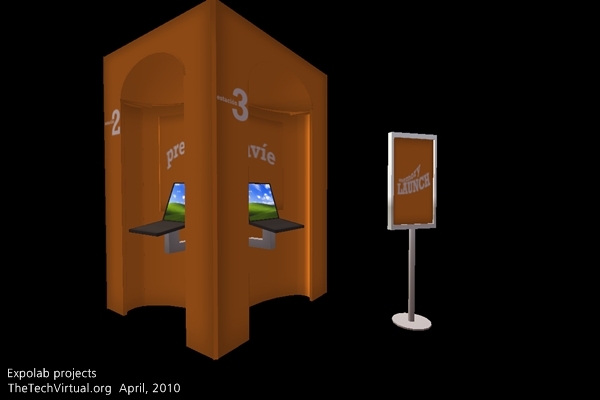 Memory Launch is an installation that suggests sending memories in video or photo format from any place in Citilab to the friends of the visitors. These friends are in different places, outside Citilab. The Internet has changed the way we share memories in that we can almost “transmit” them to people who are far away. 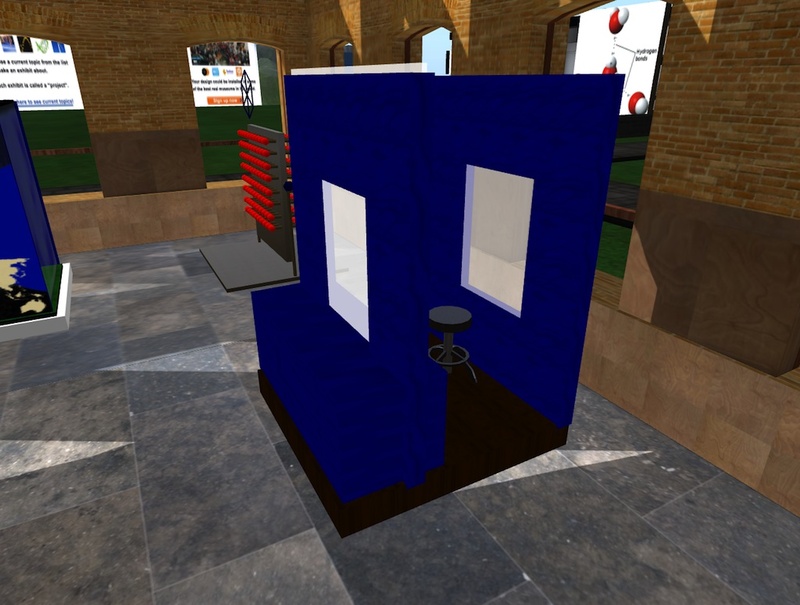 Memories are shared by photo and video but also by souvenirs… Send them to your friends (or to home) from this cube! How does this change the notion of memory versus what it is happening now? These ideas was proposed by Kyle Walker. 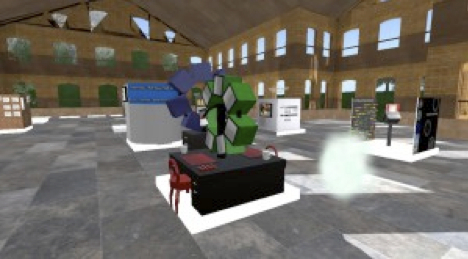 This cube explores and tests the experience of three different types of communication. 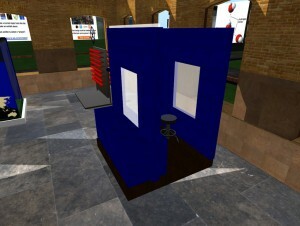 It allows visitors to send messages to someone else on the other side of the cube by using three means: writing, chat, and videoconferencing. 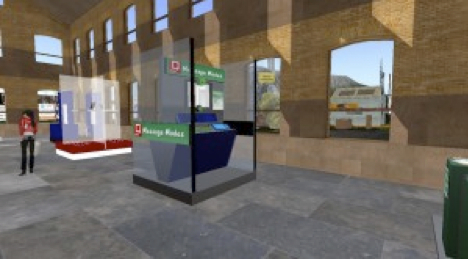 Visitors can observe and enjoy their experiences using these types of communication. Which one is faster? Is there any difference in how we communicate using a medium or another? 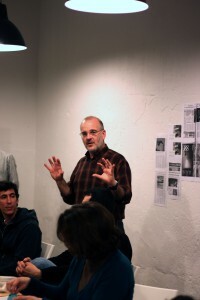 This proposal was made by Bob Ketner. The “docuverse” is a concept that was coined by Ted Nelson in 1974 when he conceptualized the Internet as a centralised source of information. Now, the Internet allows documents to be changing forever, and many versions of a document may exist across the Internet. Besides that, documents themselves change as we edit them in multi-user platforms. The Internet now allows us to have such documents that are aso dynamic that the concept of what a document is is put into question. This cube discusses how collaborating on a document in real time changes our conception of documents in general. On a computer screen, the world is flat. 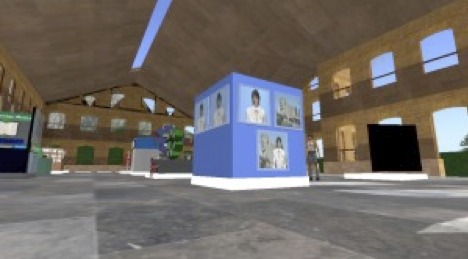 It is in this flat world where people connect and visit various places through videos, images, text, etc… In this module the visitor can use four touchscreens. Each screen offers him or her several options: Google Earth, Google Images, YouTube and a webcam, and visitors are free to travel in two dimensions around this flat world and share it with others. This proposal belongs to Huodig Nguyen. This installation represents a preview of a workstation of the future. 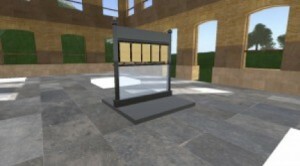 It shows how different employees will use the same window. 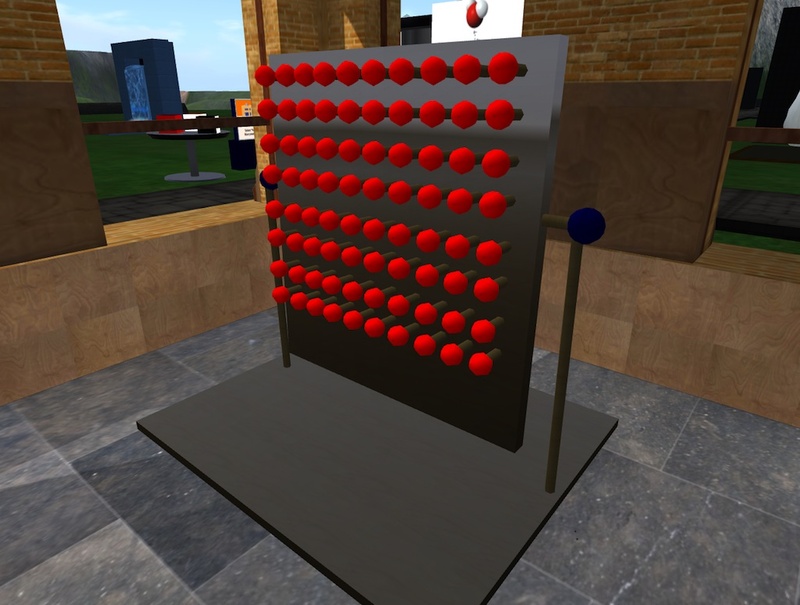 Each table will have a set of screens placed in a circle and so people will be able to work in different projects. This was one of the first proposals, which has finally been documented by Daffodil Yuhara. Tonight you will be able to vote! You see, this is a box of surprises! Stay in touch with us and we look forward to receive your votes on-line or accompanying us tomorrow, Thursday April, the 8 starting at 17h, in Citilab. Remember that at 18:30 pm (local time in Barcelona) we will close the votes space, so do not miss it! Stay with us, there are still some new projects coming in! There are two days left to vote what is the design you like the most of all the proposals we have received during these weeks. Yesterday we published a post explaining all the projects we received so far … but today we woke up with a new proposal! The essence of the Internet is digitization. All information contained on the Internet is made up of zeros and ones. 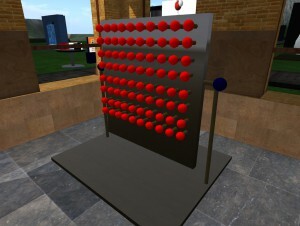 The binary code is code that is written on, manages and stores all information on the Internet. Without the binary scanning process would not exist much of today’s technology, much less Internet. Internet Moreover, the Internet network is built upon a digital communications protocol called TCP-IP. This is based on the packaging and transmission of information through standardized packages. The format of these packets is always the same, and within these packages are the data. To put it more simply, the messages are evenly divided and transmitted one after another. The receiver receives the packets and restores the original message. On the Internet all information is sent through TCP-IP. 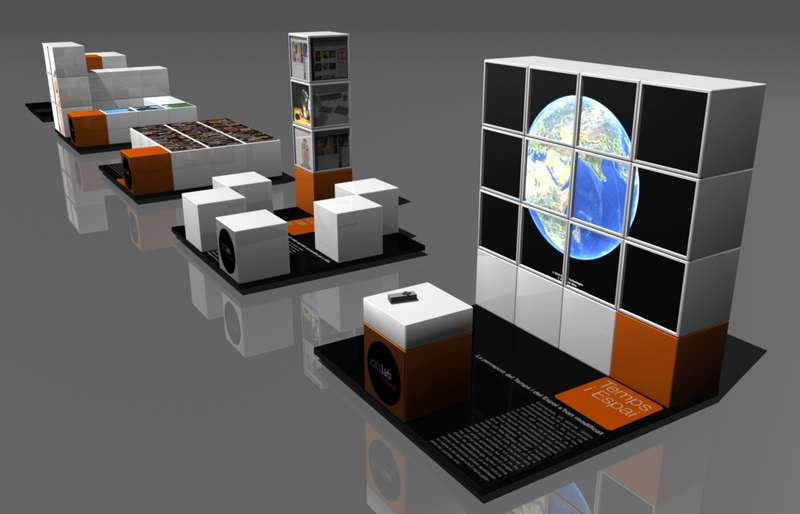 The third concept which is built on the aesthetics of the proposed exhibition is the pixel. All images are digitized and are made of pixels. Pixels are the smallest unit of which digital images are built. The images are not more than a million stored color rectangular packages. Therefore we can also think that the images are divided and packed package infinity. From three concepts (binary code, packaging information, and the nature of pixelated digital images) he has come to imagine each of the modules built 2m x 2m, in turn, with 0.5 m square cubes that could be placed and customized according to our convenience. 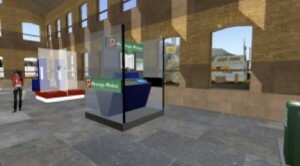 Meanwhile, other projects have also appeared in Second Life without any documentation. Unfortunately we can not consider as valid those proposals that do not contain a picture and a description … Therefore, we encourage all those who have participated, but who have reach halfway, to finish entering the necessary data… There is just one day left to do it, so don’t hesitate! !